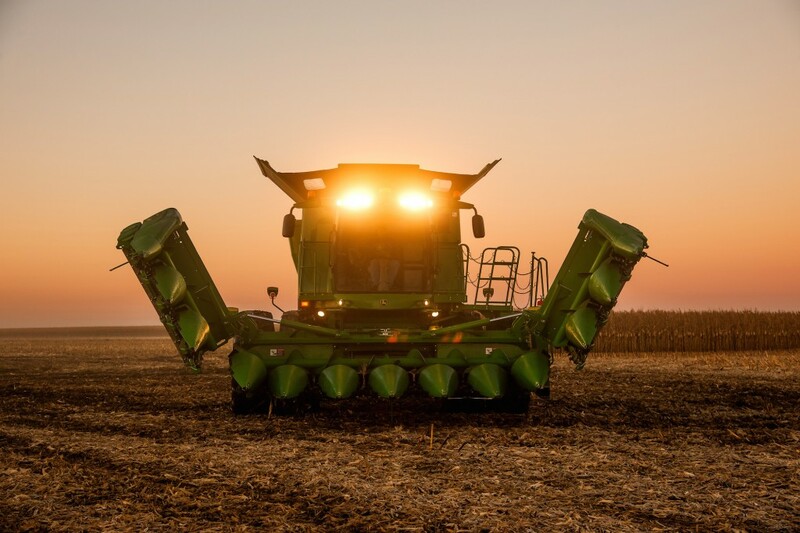 Whether you’re a farmer looking for equipment to better assist your harvesting needs, or you’re an agriculture enthusiast interested in learning about new innovations, this visual guide will be of interest to you! You can certainly learn about new John Deere equipment offerings by reading through press releases and product brochures. However, we thought it would be effective to put together a visual guide, offering photos and information about new John Deere equipment for 2016. Enjoy! 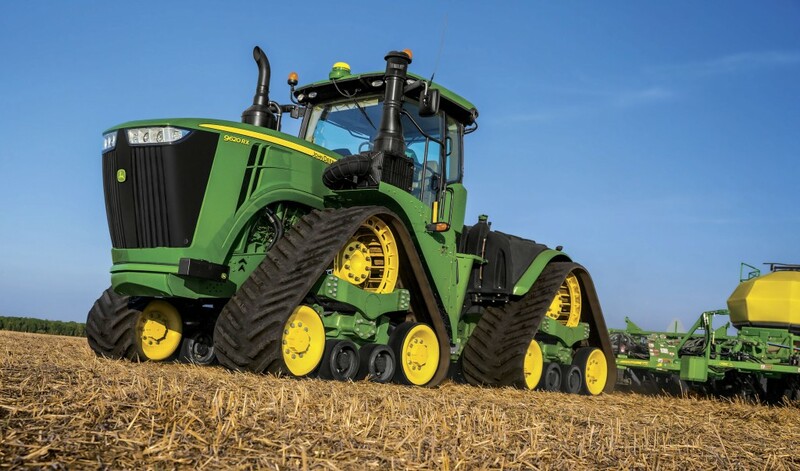 Four new John Deere 9RX Tractor models, ranging from 470 to 620 horsepower, feature a large, powerful undercarriage and track system. These models were designed to provide operators with superior strength, durability, and better ride quality, even when handling large implements in the field. 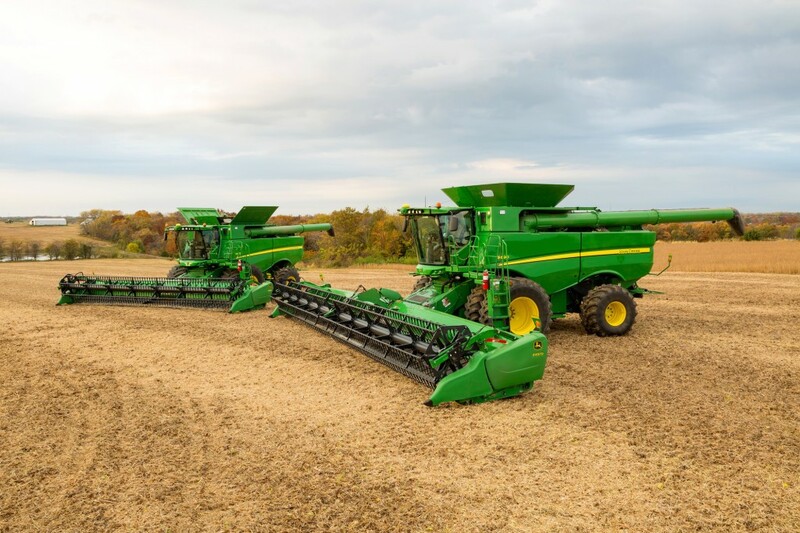 In addition to updating the S-Series Combines, John Deere expands its harvesting lineup with 612FC Corn Heads and updating the HydraFlex Draper Platforms. The 612FC Folding Corn Head will help operators tackle more acres per day and reduce operating costs. Soybean and small grain producers will experience new updates on the HydraFlex Draper Platforms, adding productivity and durability to daily operations. 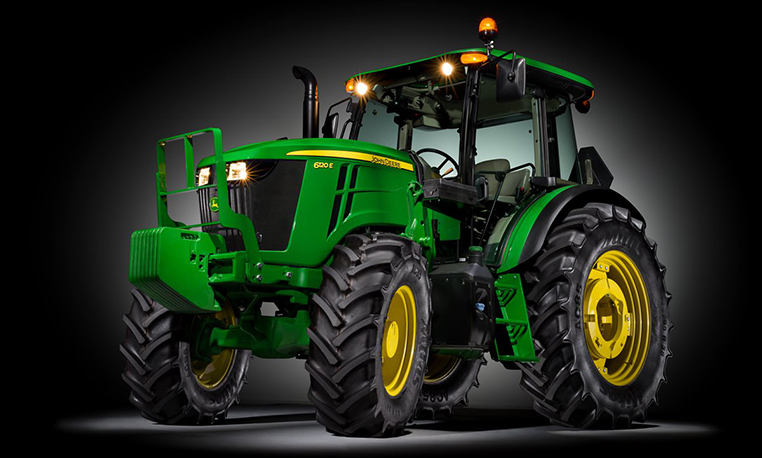 The 6E Series Tractors are also part of the new John Deere equipment lineup for 2016. These tractors feature improved performance, more versatility and enhanced value of the high-horsepower utility tractors family. The multi-purpose 6E Series Tractors are particularly useful for beef or dairy farm jobs and offer a variety of comfort features and transmission options. 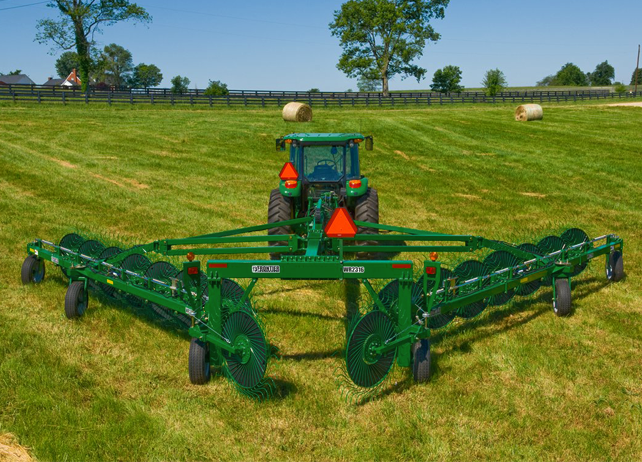 What’s new with the hay and forage product lineup for 2016? 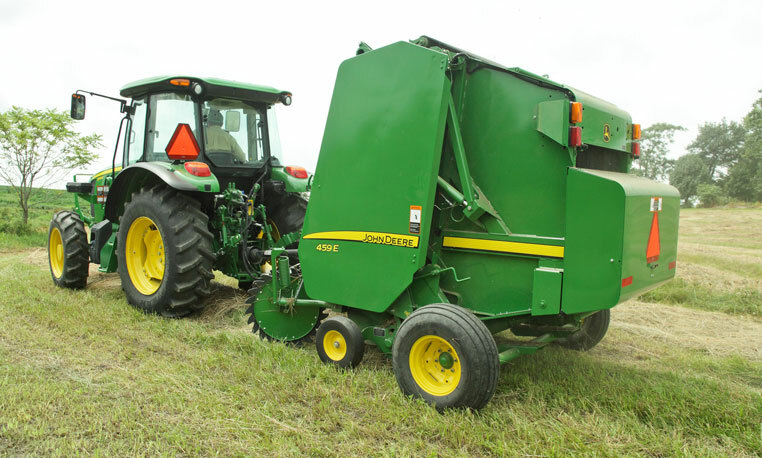 John Deere adds the 459E Baler, an economical round baler that incorporates a variety of performance features that hay producers will truly appreciate, like the Edge to Edge® net wrap option. 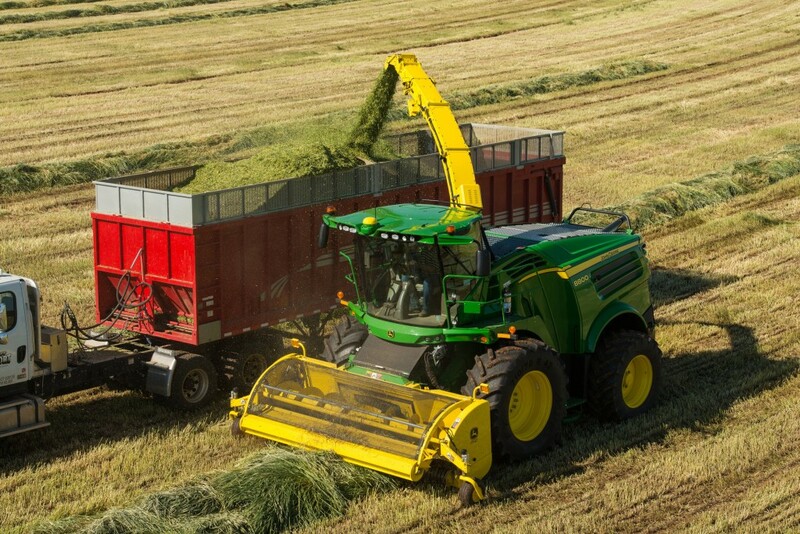 John Deere introduces three new models to its lineup of 8000 Series Self-Propelled Forage Harvesters, offering forage producers optimal harvesting speed, reliability and forage quality. Designed with the latest forage harvesting technology, like the new Active Fill Control, operators can experience automated vehicle acquisition and more precise filling of trucks and wagons. The first Triple-Mounted Mower-Conditioner proved to be successful, shortly after its introduction in 2012. 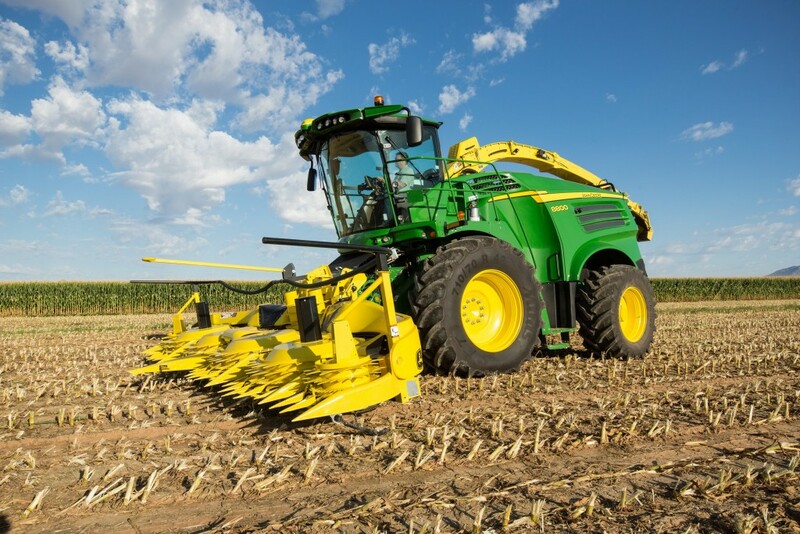 This is why John Deere has decided to add five new models for superior cutting and conditionainig of crops. These models offer different configurations based on what the customer needs. If you’re looking to become more productive when raking, you should consider the new John Deere WR00 and WR31 Rakes. The WR Series Rakes from Frontier Equipment have a compact design and convenient adjustments to increase productivity and uptime, while cutting operation costs. 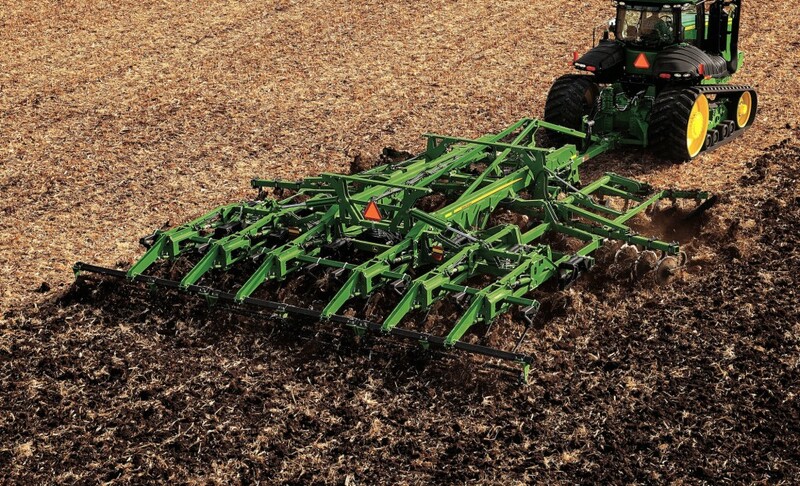 Imagine being able to perform tillage adjustments by simply pushing a button. John Deere introduces TruSet™, which enables user to adjust depth and/or pressure settings for each operation on their 2730 Combination Ripper without ever leaving the cab. 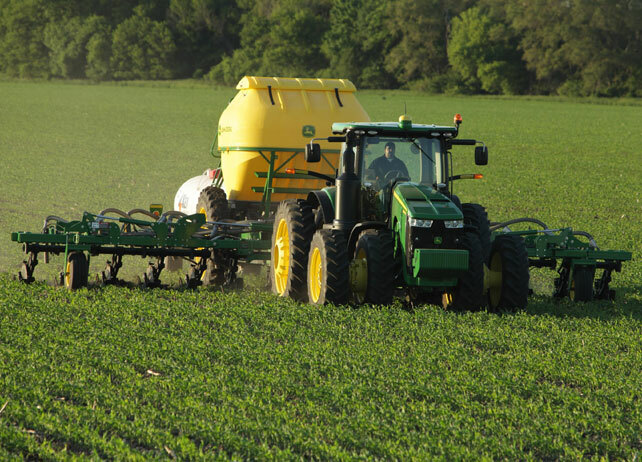 Last but not least, John Deere adds a dry nutrient attachment for the 2510H High-Speed Applicator to improve nutrient placement precision and reduce the amount of trips needed across the field. The attachment makes efficient, one-pass anhydrous and dry nutrient application easier than ever. 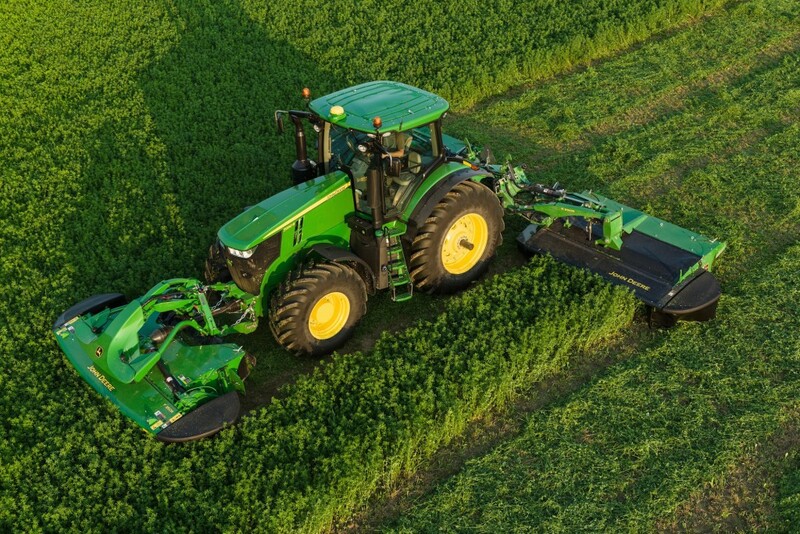 We hope this visual guide gave an intriguing look into the new John Deere equipment for 2016. If you enjoyed this post or want to read others, feel free to connect with us on Facebook, Twitter or Google+!